Our other NYE events still have tickets & VIP table service options available for groups! E-mail contact@360nightlife.com for more info. THE 20'S MEET A MASQUERADE AT THIS ULTIMATE NYE BASH! This New Year’s Eve, join us at the most sought-after NYE Gala in the nation’s capital. Put on your best Great Gatsby attire and masquerade mask as we mix the decadence of the 1920’s with the mystery of a masquerade ball at this one of a kind NYE event. The Gatsby Masquerade Gala, is the ultimate New Year’s Eve, Washington DC Black Tie affair, featuring a 5 hour premium open bar, midnight champagne toast, midnight NYE countdown, multiple food stations (including the popular Mac n’ Cheese Bar), a desert bar, 3 of the area’s best DJ’s, dancers, performers, photographers and so much more. This all takes place at the brand new luxurious venue – The Showroom – located inside the historic Thomas Circle Building. The Showroom is a majestic private event venue with high ceilings, open space layout, a VIP loft, and can accommodate over 800 guests. We will be transforming it into a New Year’s Eve ballroom worthy of The Great Gatsby himself. Don’t miss Washington DC’s best New Year’s Eve celebration as event tickets will sell out and increase closer to the date. Get tickets to Washington DC’s premier NYE event. Gatsby Masquerade Gala tickets will increase as we get closer to NYE and when quantity is limited. For the best deal, you should act sooner than later. Ticket prices can change without notice. Secure your spot today. If you have a large group of 10 or more people, contact us for discounted deals. Tickets for our Gatsby Masquerade Gala NYE 2019 include access to the event, a 5 hour premium open bar, multiple food stations (including the famous Mac N’ Cheese bar), and much more. There is a NO REFUND policy on tickets. The Showroom is Washington DC’s newest and most exclusive private event venue located inside the beautiful Franklin Court Building. 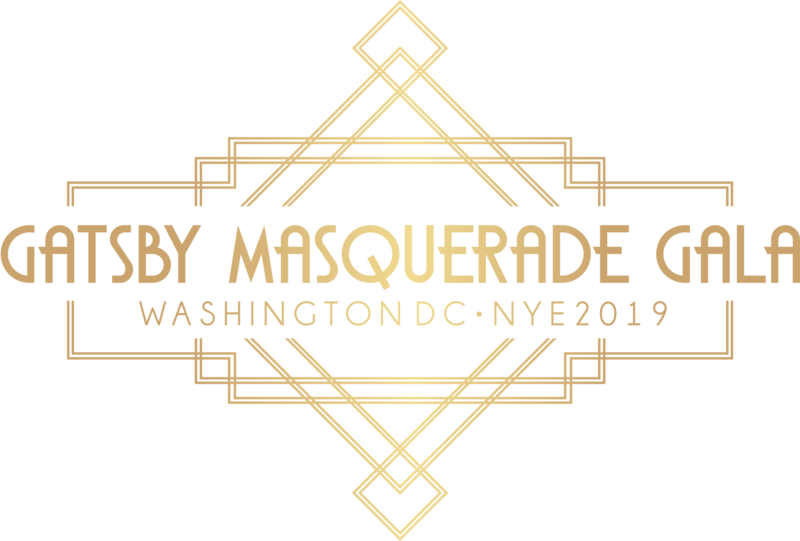 The 8,300-square-feet venue comes alive with 19 feet ceilings, and an open, modernized, industrial space which will serve as a canvas for the Gatsby Masquerade Ball: A New Year’s Eve DC Black Tie Affair. The location cannot be beat in the heart of Washington DC, right off the famed K Street and just minutes away from The White House and Washington DC’s City Center. The stylish venue was built in 2017 and has hosted numerous events including Washingtonian’s 2017 Style Setters Event, and Downtown DC’s District of Fashion 2018. With a combined twenty plus years of experience in DC’s thriving event industry, The Showroom team will celebrate the rich history of the city in one of the most desirable and sought after locations. Sponsor DC's top New Year's Eve event. We have multiple sponsorship opportunities for businesses and startups. Get access to over 800+ of DC's best and brightest young professionals!